Fun Fact: The Flying Tortilla is open for breakfast and lunch, not dinner. Menu Highlight: The homemade meatloaf is a special family recipe that is served with mashed potatoes and gravy and fresh veggies. 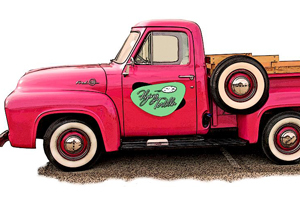 “Where the locals eat” The Flying Tortilla, FT or just the Tortilla is best known for our colorful customers and hearty comfort food. Great red and green chile, chicken fried steak, awesome burgers. New Mexican and Diner specialties. Catering in house or your house. Private meeting room available. Dinner service available for special occasions or events. Garcia’s restaurants has proudly served those with a taste for fresh, hand-prepared, New Mexican cuisine at a reasonable price since 1975. Brightly and festively decorated, each Garcia’s location has an atmosphere that is unique to the neighborhood that it is serving. 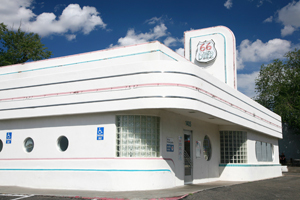 While there are seven locations of Garcia’s Kitchen throughout Albuquerque, each has a décor and environment unique to its neighborhood. Along the old road and near the city’s Old Town, will be served with Fiestaware dishes and helpful explanations of some of the unfamiliar menu items. 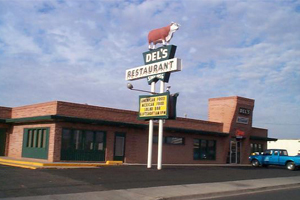 Del’s Restaurant is a comfortable, family restaurant with a pleasant atmosphere and a unique, attractive décor. Delighted in providing guests with delicious food, Del’s has a well-rounded menu for breakfast, lunch and dinner. Open Monday through Saturday, 11AM to 9 PM, Del’s provides value to its customers in an exceptionally well cared for establishment owned and operated by sisters, Yvonne and Yvette. Fun Fact: The name comes from the fact that treats were given to the bobcats who used to come down from the hills and settle outside the back-door of the restaurant. It was one of the few bobcat-friendly restaurants. Menu Highlight: Bobcat Bite is the home of the famous Green Chili Cheeseburger. The Famous Green Chile Cheeseburgers are back! 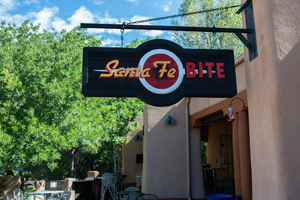 John and Bonnie Eckre, formerly of Bobcat Bite, are taking their food to the next level at the new Santa Fe Bite located inside Garrett’s Desert Inn on Old Santa Fe Trail. Fun Fact: The ’50s music played at the 66 Diner can be heard on the radio at Real Oldies 1600 AM. Menu Highlight: The trademark dish here is the Pile Up. It is pan-fried potatoes, chopped bacon, chopped green chile, 2 eggs, cheddar cheese and a red or green chile sauce on top. It comes with a tortilla. 50’s style Diner on Historic Route 66. 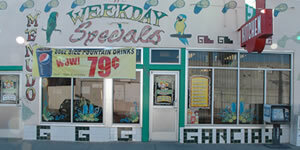 Features Burgers, Blue Plate Specials and Albuquerque’s Best Milkshakes. Much photographed, internationally known restaurant is a hit with locals and tourists alike. Blue plate specials, a full soda fountain, burgers, sandwiches, salads, and a swingin’ jukebox, you’re sure to “get your kicks” at the 66 Diner.